The winners in each category are determined by votes. 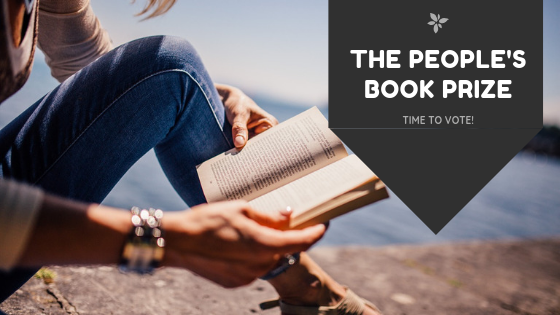 The People’s Book Prize is a great opportunity for us and our authors to seek the support of our many readers and to be judged by the actual readers of our books. In the last awards, Hammersmith Health Books received the Best Publisher Award, which was a huge boost for a small independent like us. The glass trophy stands proudly in the office and encourages us to keep challenging received wisdom in relation to health and wellbeing. Voting is open now until the end of the month and the winners will be announced at a special, black-tie event in early May. The evening will also see the presentation of the Beryl Bainbridge Award for First time Author, the People’s Book Prize for Best Publisher, and the People’s Book Prize for Best Achievement. We wish Lynn Crilly, Clarissa Foster, Dr Sarah Myhill and Craig Robinson the best of luck in this year’s awards.